VEYO — A motorcycle rider was spared from serious injury in a crash on state Route 18 in Veyo Saturday morning after a chain of events that began with a pickup truck losing part of its load. 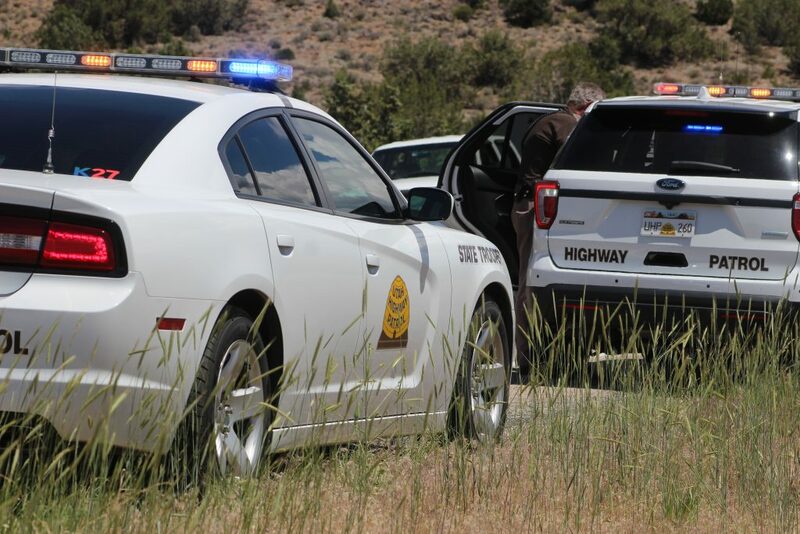 Shortly before noon officers and emergency personnel were dispatched to the crash on SR-18 near milepost 25 in Veyo, Utah Highway Patrol Trooper Chris Lewis said. Responders arrived and found the rider conscious and alert with an injury to his leg. He was loaded into an ambulance and transported to Dixie Regional Medical Center for evaluation and treatment. The sequence of events that led to the crash began as the driver of a silver Dodge pickup truck was heading north on SR-18 when a bag blew out of the back of the truck, prompting the driver to make a U-turn heading south to retrieve the bag. The driver of the Dodge pulled off onto the shoulder of the road and ran to grab the bag, Lewis said, just as a white pickup truck was heading north. When the driver observed the man in the middle of the road, they stopped and waited for him to remove the bag from the roadway. Meanwhile, a group of motorcyclists were also heading north on the same road and observed the pickup truck stopped in the middle of the northbound lane. 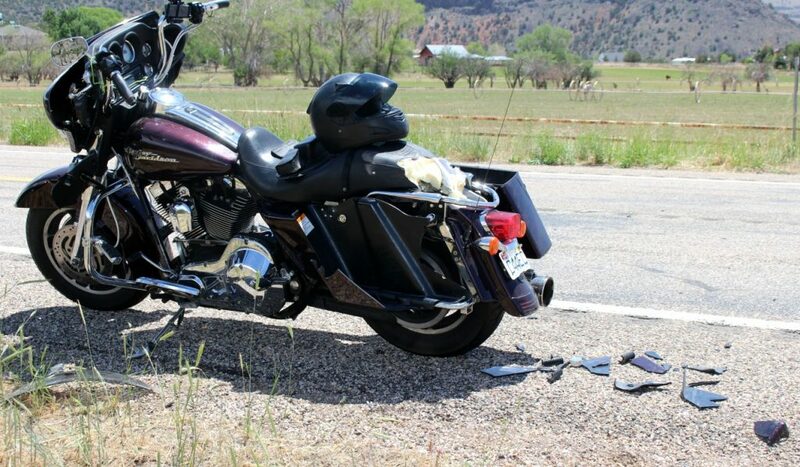 Several of the riders slowed to a stop behind the pickup truck, while one rider was unable to stop in time and struck the motorcycle directly in front of him. 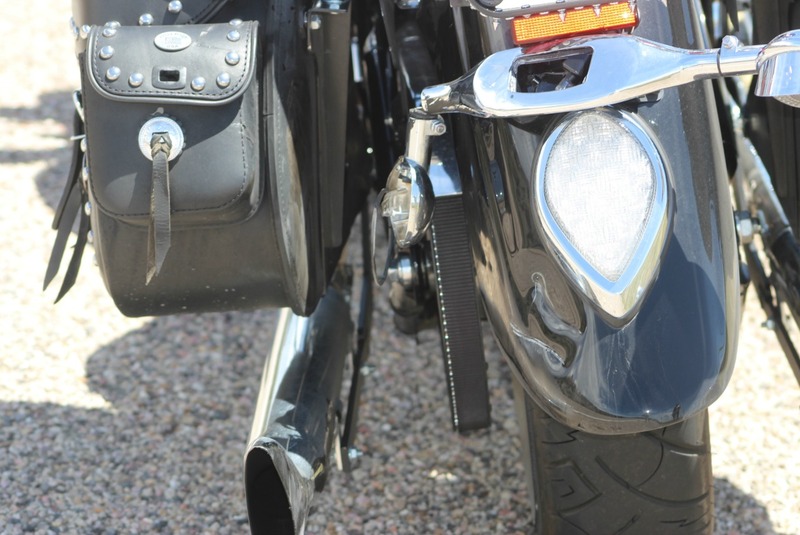 The front wheel of the following bike went between the exhaust pipe and rear wheel of the bike ahead and was then thrown backward, causing the rider to lose control of the bike as it fell over. 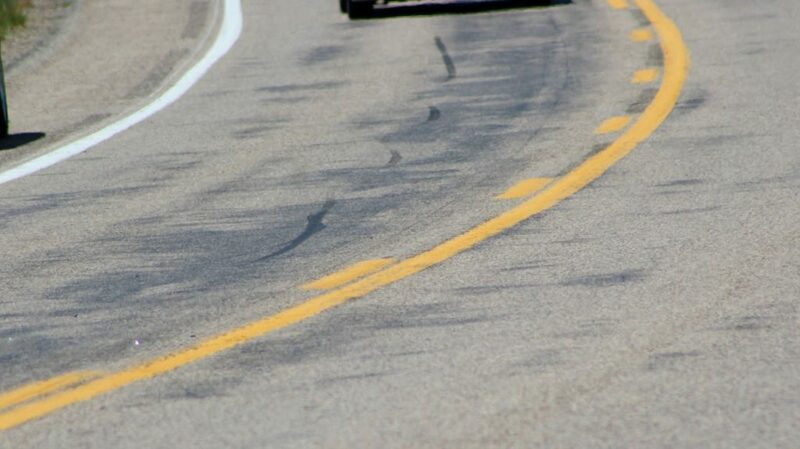 The rider became separated from the bike as it overturned, and the rider continued tumbling along the asphalt while the bike slid across both lanes of SR-18. 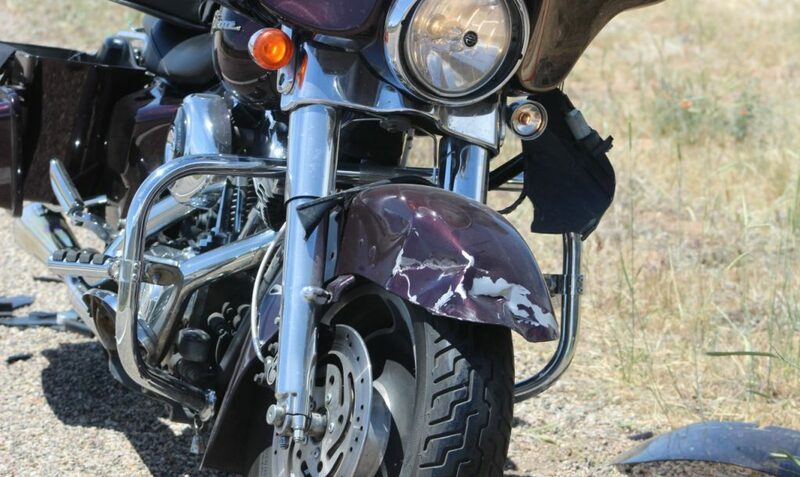 The motorcycle then slammed into a trailer attached to a pickup truck that was heading south on the highway, Lewis said. 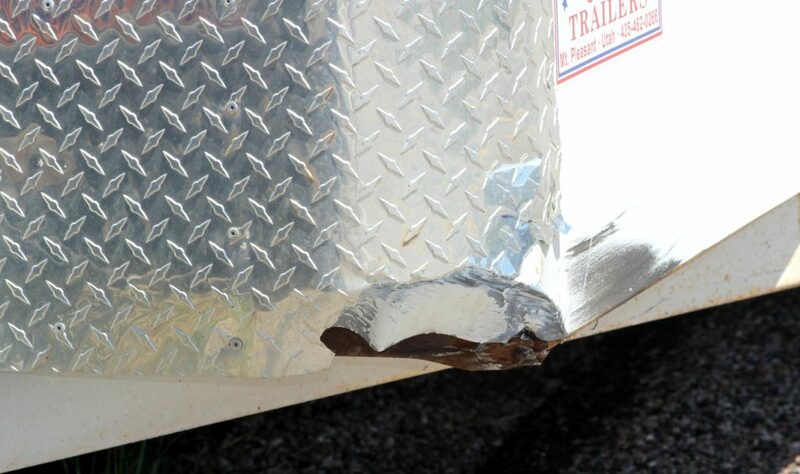 The impact with the trailer sent the bike crashing back onto the roadway, while the driver of the truck pulled off to the right and went to check on the rider. The driver of the white pickup that was stopped in the roadway continued north after retrieving the bag from the street, Lewis said, likely unaware that a crash had taken place behind him. 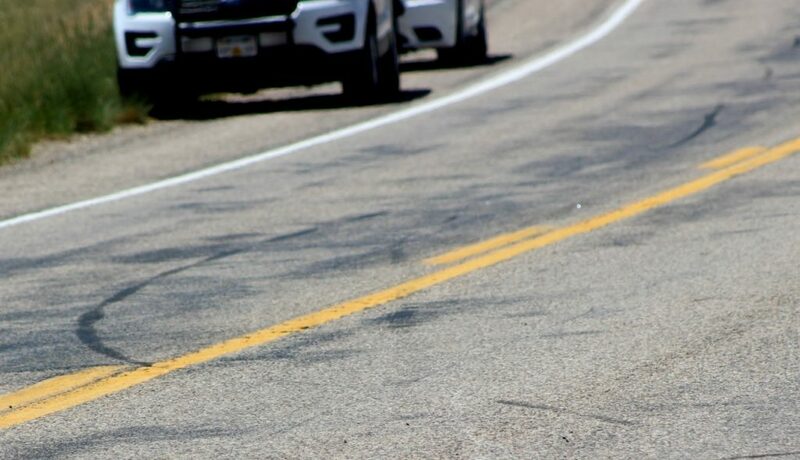 In the meantime, the group of riders also pulled to the side of the road on the northbound side of SR-18 and ran to the aid of their fellow rider that was now lying in the roadway. The driver of the Dodge also pulled to the side on the southbound shoulder. 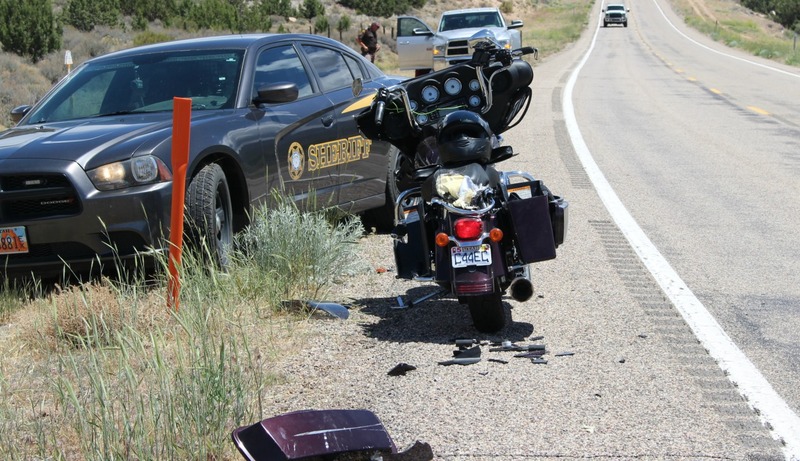 Several of the riders at the scene commented that the injuries could have been worse if their fellow rider was not wearing a helmet, comments that were reinforced by the trooper at the scene. “The rider did have a helmet on, was talking and appeared to be okay other than his leg injuries,” Lewis said. Members of the group said they always wear a helmet when riding, and one man said he decided to start wearing a helmet at the request of his son. “So I went out and found a helmet I was comfortable wearing and have been wearing it ever since,” he said. 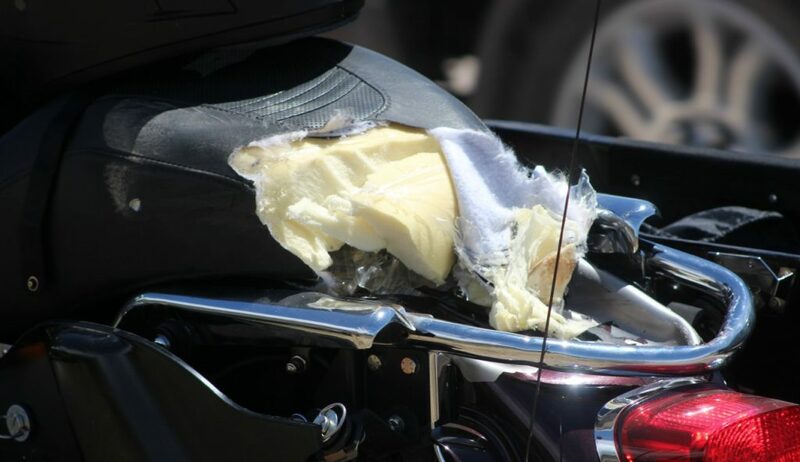 Several of the riders said they alerted each other to the truck stopped in the middle of the road using blue tooth devices placed under their helmet; however, the rider involved in the crash wasn’t wearing an earpiece, so he never heard the warning. The man driving the Dodge was later cited for not securing his load, and no other injuries were reported. Washington County Sheriff’s deputies responded and assisted troopers at the scene. So sad that all of this could have been easily prevented by all parties involved. I’m pretty sure everyone that lives in this area needs to be re-educated on how to drive. I’m also getting to the point I don’t dare ride my bike anywhere in this town. Stopped in the middle of the road. Uncle Dad strikes again. I thought maybe he was Goin’ down the road trying to loosen his load , he had several women on his mind……? Seriously, what’s with all the stupid hillbillies in this town, that can’t figure out how to tie down a load? Tie down a load? They never taught that in Drivers Training. I suspect the young truck driver was probably a recent transplant from California, never a Boy Scout, and probably had a opened can of beer between his legs or a joint behind his ear. Seriously, Notsofast? Just Assuming (and we all know what the first 3 letters in “assume” are) that the driver was a transplant from California?. No basis whatsoever for that comment. Ya even had him smokin’ a joint and drinking a beer. Maybe you should be on the welcome committee for Southern Utah.